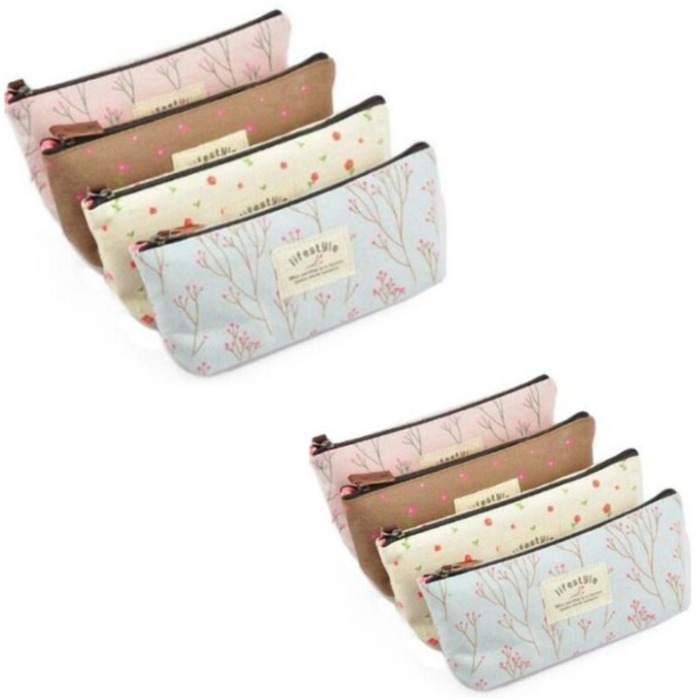 Set of 4 Pastel Flower Canvas Cosmetic/Pencil Cases Just $4.38! PLUS FREE Shipping! You are here: Home / Great Deals / Amazon Deals / Set of 4 Pastel Flower Canvas Cosmetic/Pencil Cases Just $4.38! PLUS FREE Shipping! Set of 4 Pastel Flower Canvas Cosmetic/Pencil Cases Just $4.38! Aren’t these bags cute?? Get this Set of 4 Pastel Flower Canvas Cosmetic/Pencil Cases for just $4.38 PLUS FREE Shipping!